Slouching, slumping and leaning sideways all load the spine towards its end range of motion. If maintained for a long period of time, this can result in back pain. If you can, book an ergonomic assessment of your work station to make sure it’s set up in the best possible positions. Poor posture at the work station is one of the most common (and one of the most easily avoided) causes of neck, upper and lower back pain. In the last 20 years, a lot of information has been spread about the effectiveness of specific core stability exercises aimed at the small stabilising muscles around the spine. Although some clients have received benefit from this, the overwhelming evidence does not support this as the best form of exercise to help or prevent low back pain! New research supports the use of more global strength and conditioning exercises which can be incorporated into clinical Pilates and rehabilitation programs to get the most out of your exercise time. Other bonuses may include improved flexibility and increased lean muscle mass which can assist in the maintenance of a healthy body weight. No matter your fitness level, working on strength and conditioning training with your physiotherapist is a great way to achieve your fitness goals while also reducing the risk of back pain and acute and overuse muscle injuries. New insights into “core stability” training show us that the benefit comes from strengthening the body as a whole, and not from improving the strength of the deep abdominal muscles or increasing the stiffness of the trunk. A strength training program should maintain your range of motion whilst challenging strength. Clinical Pilates may be a great way of leading into a strength training program in those who have not previously performed resistance training. Whether you’re at the office or having a relaxing day at home, make sure you keep moving! Staying in one position for too long can lead to fatigue of the muscles in your back and place extra strain on joints. Moving reduces the time these muscles are passive, and spreads the load around many different structure of the body helping to reduce excessive stress in specific areas. Why don’t you consider setting up a standing workstation at work or at home? 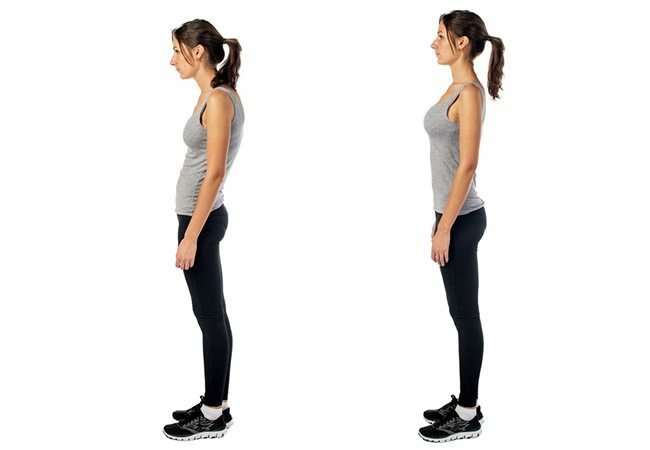 There are huge health benefits even just of standing still compared to sitting including reducing the risk of back pain! Furthermore, frequent exercise can help with weight management (decreased weight = decreased load on the body), improved mood (resulting in a lower perception of pain) and generally better health. Lifting heavy loads like may put excessive strain on your back, especially if your body is not strong enough or conditioned well enough to tolerate that excessive load. about the everyday heavy lifting you do and consider how can make these movements more comfortable. Do you carry the groceries home, or pick up your child in awkward lifts, or carry a heavy laptop bag to work? Try to distribute the weight evenly when possible and reduce the time spent in awkward positions when performing these tasks. If you have to carry heavy items in a bag, a backpack may be better suited to the task. When carried on both shoulders, a backpack may distribute the load more evenly between the right and left sides helping to share that increased load over a greater area. Over the shoulder bags create uneven loading that may contribute to pain. Bonus tip: Don’t keep your wallet in the back pocket while sitting down! We hope you try these good ideas to prevent back pain. However if you feel it’s time to get professional advice and physio, call us on 08 9481 1003 to book an appointment at one of our Perth clinics or fill out our quick online form.